i. The GAC has reached consensus on GAC Objection Advice according to Module 3.1 part I of the Applicant Guidebook on the following applications:3. The reasoning behind why applications received varied advice has been questioned by applicants. And I think to uphold transparency the GAC committee would be well meaning to substantiate at length how conclusions we arrived at to help sanitize the process and not curtail it before it hits and advanced stage. 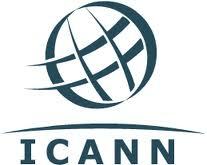 The applicant also cites a very important issue, ICANN has not been a great stickler for time lines especially owing to the unpredictable new gTLD process that has experienced several landmark stalling in the past e.g the Applicant hitch that affected initial application stage and the famous “digital archery” method of determining batching priority that was saved by the lottery.